Anyone who wants to live in the lap of the nature BPTP Elite Floors in Faridabad are the best option in Faridabad. This residential project is from BPTP Group situated at BPTP Parklands, it is an affordable project offering independent floor in reasonable rates with the option of 3 BHK and 4 BHK flats in Faridabad options for offering great comfort and luxury to large or growing families. The most important feature to choose BPTP Elite Floors in Neharpar Faridabad is that it is situated closed to the commercial sector and different reputed educational institutes are located near to the project. BPTP group presents the latest luxurious residential Property BPTP Princess Park Flats in Faridabad in BPTP Parklands, Sector 86 Faridabad. People who love to have a luxurious life style; it is the best choice for them. 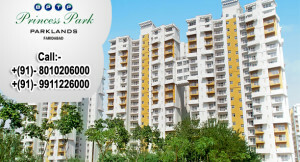 The Princess Park Flats are available in different ranges like 2 BHK, 2+1 BHK, 3 BHK and 3+1 BHK flats. The residential project is well designed by reputed architects with attractive layout and is spread over 17.96 acres of land. Away from the busy city but still near to them, BPTP Princes Park Flats in Faridabad is the best option for doing investment. The construction is RCC framed earthquake resistant. All the important facilities like schools, hospitals and many shopping malls are near to the project. Available in different sizes from 1356 Sq Ft to 2194 Sq Ft.
Power backup, sewage system, rain water harvesting, gated Scurity. Swimming pool, tennis court, club and most importantly all these in a very affordable rates. Do you want to build your own house away from the busy hustle bustle city life, with all kind of modern and basic amenities? Than BPTP ParkLands Plots in Faridabad is the best choice for you. It is away from the city but within the National Capital Region. The National Highway is just 2 Km away from BPTP ParkLands Faridabad. The BPTP Groups brings you a township situated in 1800 acres of land including Parkland Plots, Group Housing Society etc. Only residential freehold plot in Faridabad, Neharpar. Residential Project is approved by Government and it is design as per the norms of the Government. Basic amenities like: – Water Supply, Sewage system, Gas Supply, Underground wiring of electric cables. Educational institutes, industrial sector, health unit, shopping malls all in close proximity. Piyush Groups bring you the dream home as Piyush Heights Apartments in more than eighteen acres of land at Sector 89, Faridabad. The best place for nature loving people as it has pollution free environment offering great relaxation to the residents. In this busy and fast going life everyone wants some peaceful and relaxing time at home and with family and if you are also looking for the same book your flats now in Piyush Heights. You have wide range of option to choose from 1268 Sq Ft to 1576 Sq Ft which comes in 2 BHK and 3 BHK flats in Piyush Heights Faridabad. 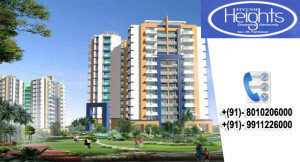 With all kind of modern amenities, enjoy your dream home in Piyush Heights Faridabad. Luxurious amenities like: – Gymnasium, Club with indoor gaming facility, jogging park, swimming pool etc. Spacious car parking with visitors parking facility including round the clock security and many more. Are you looking for the top Residential Property of Residential Plots in your location of Faridabad If you are then the best support is Puri Aman Vilas for you. Puri Amanvilas comprises freehold Plots and Independent Floors in Faridabad, The first thing that you will have to observe here is regarding your Allotment of Plot having Area size of 300 Sq.Yds. @ Basic sale price of 26,900/- per Sq.yds, 350 Sq.Yds. @ Basic sale price of 27,900/- per Sq.yds, 400 Sq.Yds. & 500 sq.Yds. @ Basic sale price of 28,900/- per Sq.yds. at Sector-89, Faridabad. These Puri Amanvilas Plots are available in original booking having Six Year Payment Plan. The second thing that you will get the Allotment of Independent Floors constructed on the different individual plot size of 265 Sq.Yds. @ Basic sale price of 45.50 Lacs onwards, 300 Sq.Yds. 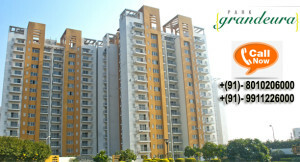 @ Basic sale price of 51 Lacs onwards, 350 Sq.Yds. @ Basic sale price of 58 Lacs onwards, 400 Sq.Yds. @ Basic sale price of 65.50 Lacs onwards, 500 Sq.Yds. @ Basic sale price of 78 Lacs onwards. You need some features for your residential purpose, and that can be available only when you are finding adequate support from the Residential Housing. The Anupam Properties is equipped with all the things that you need. The first support is in the form of business and amusing parks, but there are some other supports too. You will get gymnasiums and swimming pools at your doorstep. You will also need the airport, bus stops, doctors, and schools all at your connection when you reach PURI AMANVILAS in Faridabad for the support. The Freehold Plots and Independent Floors in Puri Amanvilas is even going to give you a perfect commercial support. The only thing you need to check is regarding the area, where you are going to live. Better communication facility and better hospitals and doctors near your plot are always helpful. 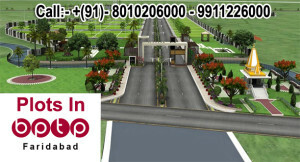 Anupam Properties in Faridabad for your dream plot! When you are planning to purchase a property, either in the form of a flat, floor, villa, kothi or a plot in faridabad, you have to talk to many sellers. But many times it is seen that the whole process of having to contact and then negotiate with sellers is a very difficult task. This is where Anupam Properties can help you with all of your property need whether it is commercial property or residential property in faridabad. We Anupam Properties have a team of very good and expert agents who will help you with the whole process. They are a very well-known name in the real estate business. 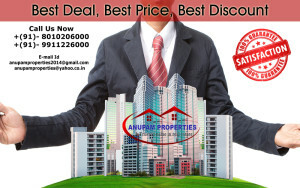 We Anupam Properties have good connections with sellers from all over Faridabad. You can be sure that you will find some of the best properties like BPTP Parklands Plots in Faridabad, BPTP Park Grandeura Flats in Faridabad, Piyush Heights Flats in Faridabad, Uppal Jade Flats in Faridabad, Puri Pranayam Flats in Faridabad, SRS Royal Hills Flats in Faridabad, Puri Pratham Flats in Faridabad, RPS Palms Floors in Faridabad, Ansal Crown Heights Flats in Faridabad, RPS Savana Flats in Faridabad, SPR Imperial Estate Flats in Faridabad, Ansal Royal Heritage, Srs Pearl Heights, Floridaa Affordable Flats in Faridabad, Auric Happy Homes Affordable Flats in Faridabad, Omaxe Heights Flats in Faridabad, Auric City Homes Flats in Faridabad, BPTP Princess Park Flats in Faridabad, Omaxe New Heights Flats in Faridabad. through the Anupam Properties of various reputed builders like Ansal Buildwell, RPS Group, Omaxe Limited, Puri Constructions Group, BPTP Group, Pivotal Group, SRS Group, SPR Buildtech, O.P. Chains Group, Auric Group, Adore Group, Piyush Group, KLJ Group , Uppal Group. Building your own house is a dream that most individuals have. Now with their help you can easily make this dream a reality. They will also make sure that your dream home will not cause a huge dent in your pocket.